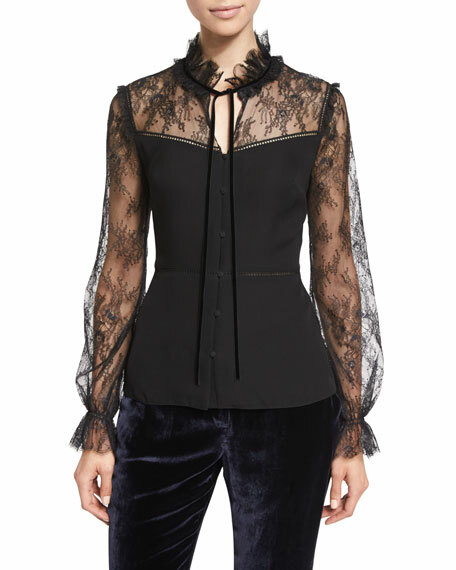 Elie Tahari "Cecille" silk blouse with lace insets and trim. Stand collar with self-tie closure; button front. Yoked front and back panels. 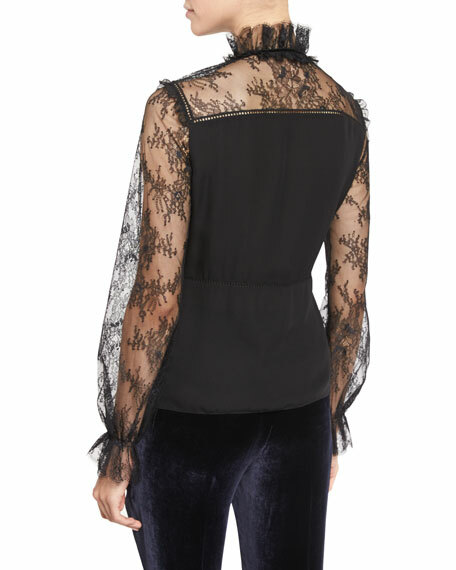 For in-store inquiries, use sku #1915150.